Just 10 elegant suites nestle in Tuli Safari Lodge's peaceful, spacious gardens. of Africa' décor, with a flowing open plan design. drives and meaningful community visits. Hyaena (Brown & Spotted) and Honeybadger. Rhino And Buffalo are not present in the Reserve. the area with 90 different species counted in the Lodge grounds by keen birders in just one morning. 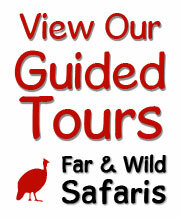 Tuli Safari Lodge is around 5 hours’ drive from Johannesburg and around 6 hours’ drive from Gaborone. When the Limpopo River is not crossable at Pont Drift, guests may leave their vehicles at the border post on the South African side and cross to Botswana using a passenger cable car. 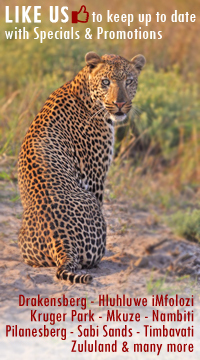 A Tuli Safari Lodge guide will meet our guests on the South African side. If guests are travelling to Tuli from or via South Africa with children, please note that South African authorities require parents to provide full copies of their children's birth certificates showing both parents. Children are most welcome at Tuli Safari Lodge and may partake in the activities with their parents, or alternatively you can make use of our babysitting services.